The Great Arc of Wild Sheep by Clark, both hard and soft copies - Sportsman's Legacy, Fine firearms, related books and sporting collectibles. Representing estates, collectors and nonprofit conservation organizations. 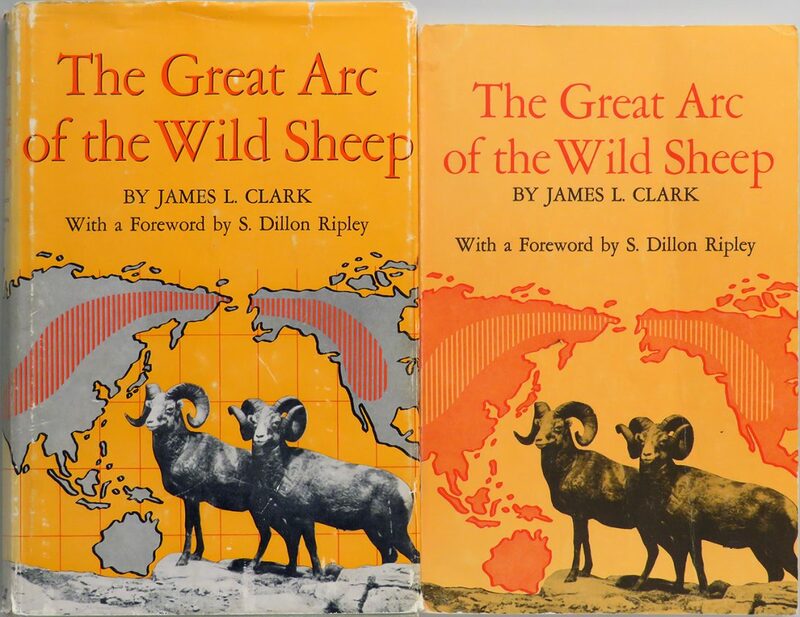 The Great Arc of the Wild Sheep by James L. Clark in both hard and soft copies. The hard bound copy was published in 1967 by the University of Oklahoma Press and is a stated second edition. It remains in excellent condition with a good DJ. From the same publisher, the soft is a stated fourth edition from 1978 in good condition with a former owner’s gift inscription on the inside front cover. The price is firm. $200 plus media mail.